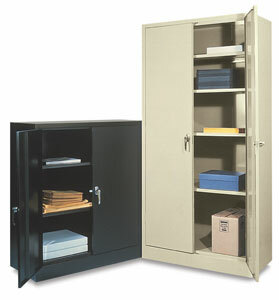 These sturdy, functional cabinets are great for all storage requirements. They have heavy gauge steel shelves that are adjustable on 2" centers. 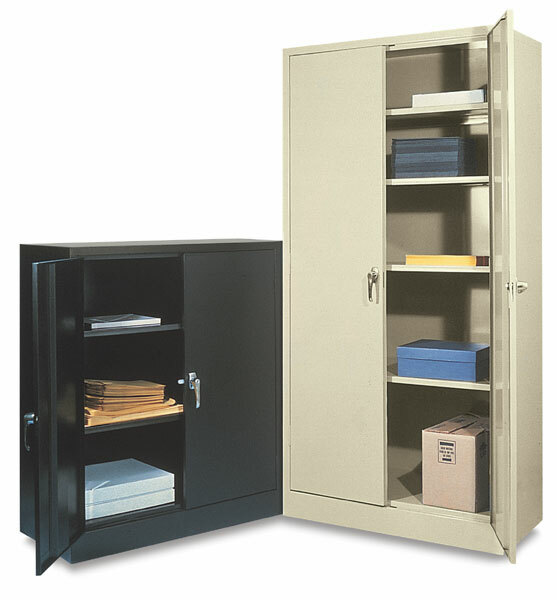 They are all metal with an enameled finish and have double doors with a three-point locking mechanism.  Atlantic is a trademark.